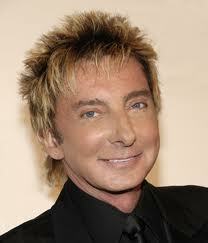 You can see Barry Manilow on the Royal Variety Show which is being broadcast from 7:30 pm on ITV1 tonight. The show was recorded at the Salford Lowry earlier this month which allowed Mr Manilow to return to the States to undergo hip repair surgery on Monday - the day after completing a seven-year run of shows in Las Vegas. 68-year-old Manilow had the surgery at a Los Angeles hospital saying "That's what you get when you jump around to Copacabana for 30 years! It’s not hip replacement – never has been. I seem to have ripped the abductor muscles on both hips and messed up my bursas.After the surgery, the Doctors told me it will take three weeks before I can walk and then another three weeks to recover. And then it’s Chicago and Radio City!" He is due back in the UK next year performing five arena concerts in May.